Give your best friend a Best Friend Kissing Fish Ornament to show her how much she is appreciated. And get one for yourself too! Of course the kissing fish have red puckered, glittery lips and is wearing a fashionable hat and a pearl like necklace. Both sets have a hanging sign that says “Best Friends”. 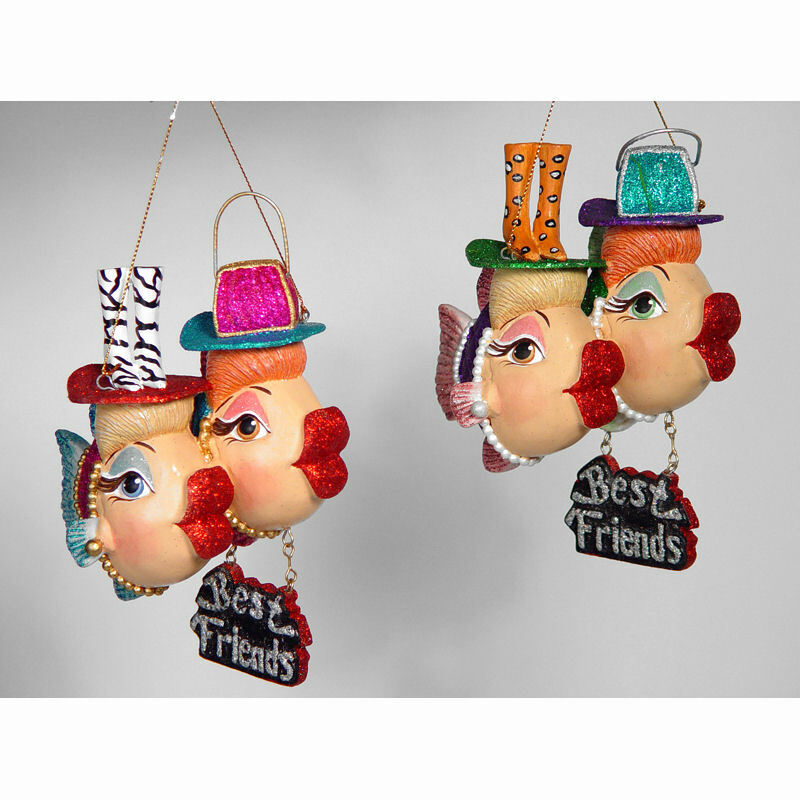 Be the first to review “Best Friend Kissing Fish Ornament” Click here to cancel reply.